Talbot County is one of the most scenic rural counties in Maryland and the Mid-Atlantic Region. Vast expanses of open space, valuable natural resources, wildlife habitat and the living waters of the Chesapeake Bay define the rural character of the County. Agricultural land is at the heart of the County's beauty, history and culture. Preservation of agricultural land helps to ensure that the rural character enjoyed by so many will be available for future generations. In addition, farmland preservation will help to ensure the viability of the agricultural industry that substantially contributes to the regional economy. The Comprehensive Plan, zoning ordinance, subdivision regulations and conservation easements serve to protect agricultural lands from inappropriate residential or commercial development, while existing farming operations are encouraged to continue. Existing Rural and Agricultural Land Preservation ProgramsAs of December, 2014 more than 25,000 acres of land in Talbot County have been placed in a variety of easement programs. 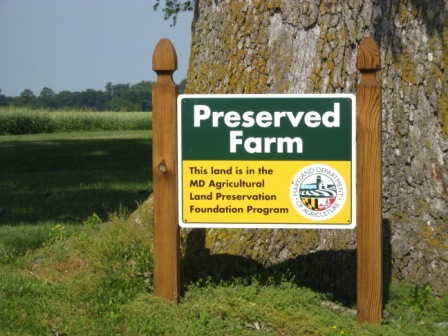 The Maryland Agricultural Land Preservation Foundation ( MALPF), in existence since 1977, is one of the most successful programs of its kind in the United States. Its primary purpose is to preserve sufficient agricultural land to maintain a viable local base in food and fiber production for the present and future citizens of Maryland. The program is administered by the County and State in an equitable partnership. Enrolling in the program enables a land owner to voluntarily sell development rights to the State, removing in perpetuity the right to develop the farm for residential, commercial or industrial use. So far, easements have been purchased on 71 properties, permanently protecting 10,905 acres of farmland. An additional 830 acres have been preserved through Rural Legacy program easements. Land trust organizations do not typically purchase development rights from a property owner, but rather accept conservation easements as donations that enable property owners to receive significant tax benefits. 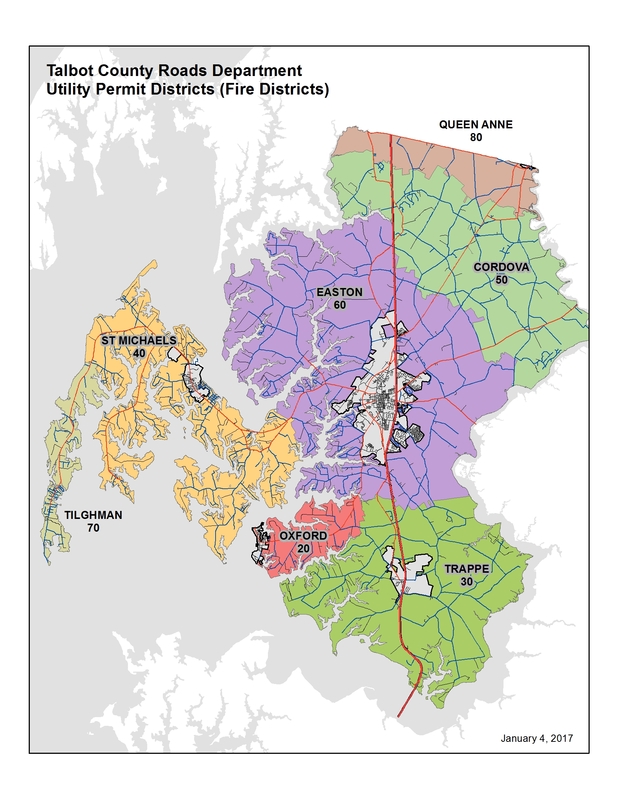 The primary land trust organizations holding easements in Talbot County are Maryland Environmental Trust (MET) and the Eastern Shore Land Conservancy (ESLC). Approximately 14,804 acres of land within the County have been entered into conservation agreements with various land trust organizations. Other property owners have entered into conservation easement agreements with a local, regional, state or national non-profit land trust organizations including the Maryland Ornithological Society, Audubon Foundation and the Nature Conservancy. This act, also called SB236 or the Septics Bill, was passed by the Maryland General Assembly to limit the impacts of large subdivisions served by septic or underground sewage disposal systems on farms, resource lands and waterways. It mandated planning for development in several land use categories or 'tiers', based on existing local plans and goals for growth and land preservation. 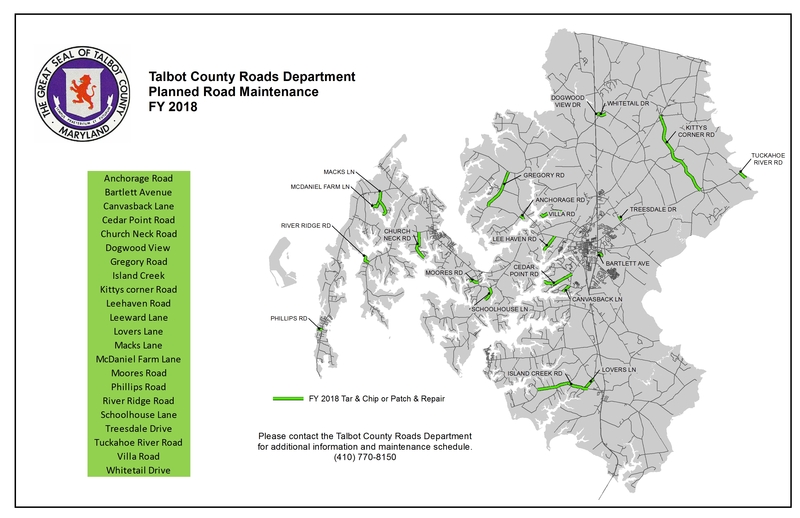 Talbot County's Tier map is divided into four basic land use categories with development characteristics ranging from areas already served by sewer systems (Tier 1) to areas designated for limited development on septic systems (Tier 4). Future subdivision and development plans will be reviewed for consistency with a property's Tier designation and corresponding allowances, in addition to other relevant ordinances.